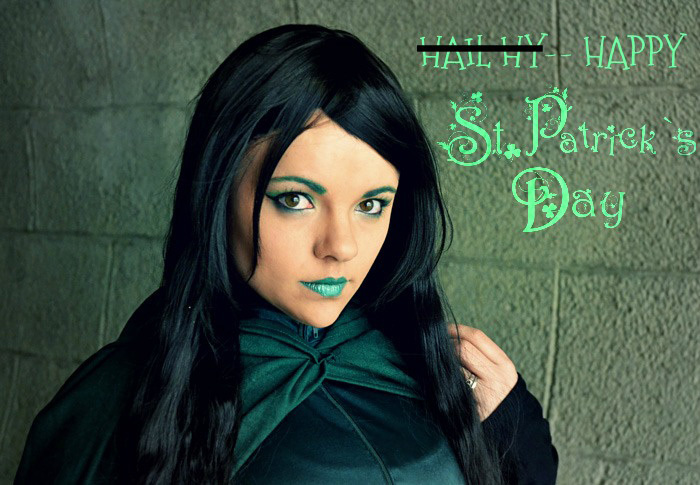 �"This is my Lady Slytherin (wife of Salazar Slytherin) costume. I will not at this moment bore you with the details on my research and why this costume is what it is...I just thought for St Patrick's day why not use Slytherin! 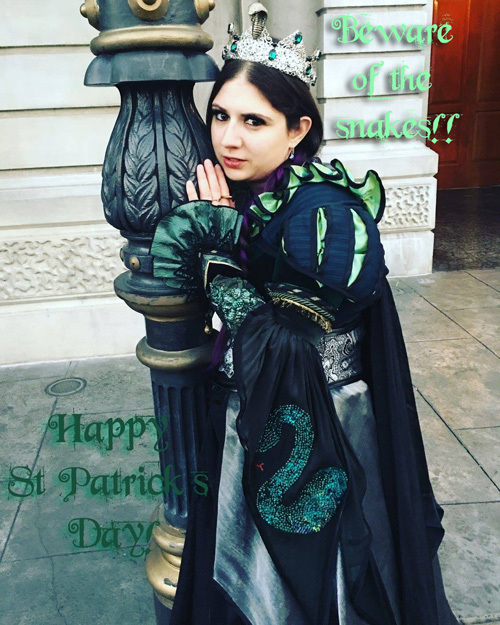 Salazar Slytherin is from Ireland...and we all know that St Patrick's day is the day for driving the snakes out of Ireland! It seemed perfectly fitting! <3 Happy St Patrick's Day!! <3 <3 <3"
"While I am not Irish, as a witch I can appreciate the importance of the heritage of the holiday. Happy St Patrick's Day to everyone who celebrates it! If you are headed out to a party or bar, be safe. Much love, Rogue." 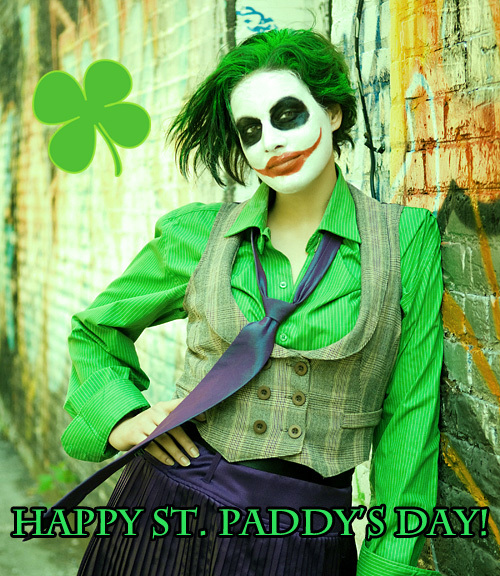 "The luck of the Irish won't save you from the poisonous lips of Bianca Steeplechase Joker. You can be sure her eyes will be smiling." "Happy St. Patricks Day Everyone!" HAPPY ST. PATRICK'S DAY! 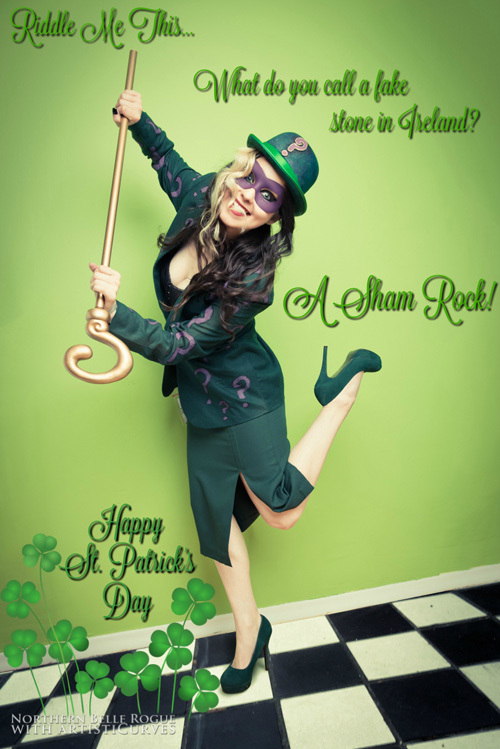 HAVE FUN, STAY SAFE & MAY THE LUCK OF THE IRISH BE WITH YOU!